Kennedi is using Smore newsletters to spread the word online. "Chasing brooklyn" is one of those books you can never put down because it's just that good. With Hauntings from her friends that died, and a love that shouldn't be there keeps your hands glued to the book. Lucca died in a car crash after a party he had went to with his friend. His friend, Gabe, ended up overdosing and died. He just couldn't hold all that weight of being the one who killed Lucca. Brooklyn had started to have dreams about Gabe running after her and always saying "Don't let fear control you". She is always confused and questioning why she hasn't had any dreams of Lucca. Lucca keeps giving signs to Nice to help her, but Nico doesn't really know how to. Here is some words the author has to say about where she gets her inspiration. Do you think ghost are real? Click here to find out. Hey!! 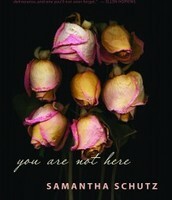 Check out some more books written by Lisa Schroeder!! "The secret year" and "Chasing Brooklyn" both involve deaths within a relationship. Only difference is that in "Chasing Brooklyn" The boy dies but in "The secret year" The girl dies. In "The scecret year" Colt and Julia are dating. They have been secretly dating for a year now, and Julia's boyfriend still hasnt found out yet. They both kept it a secret because they were from totally different groups. Julia was all country, while Colt was the complete opposite. When Julia died in the car crash colt was devistated. But couldn't show that he cared because she was a secret. None of colt's family knew of her, he never brought it up. He trys to get over her but during the process he finds her journal of there secret year together, which makes it even harder for him to get over her. But how do you get over someone you were never offically with? This Would be a wonderful book to choose if you like mystery. Seth was the last person to see his bestfriend issac alive, and the first one to see him dead. When issac went to parties he liked to drink... A lot. Just this time it was different. When Issac drank, he usually would pass out and wake up later. But this time Issac didn't wake up. Police officers later found him dead around the house after the party. After this experience Seth wanted to turn his life around. He soon meets Rosesetta. A Young beautiful lady that caught Seth's eye. She was so different from any other person he had met before. But as time goes on Seth realizes that Rosesetta has secrets of her own and Seth figures out that he's not the only one who needs saving. 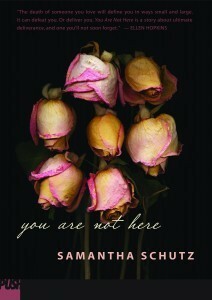 "You are not here" Is similar to "Chasing Brooklyn" Because Both book involve two girls who's boyfriends die. " You are not here is a story about a young girl in highschool that finally gets a boyfriend, Brian, but sadly ends up dying. Leaving Annaleah shocked and filled with grief. She stops going to school, stopped hanging out with friends and quit her job. Didn't go anywhere. Later when she could actually get out of bed, she went into a pizza shop and ment a boy named Ethan. Will she end up having feelings for Ethan? Or will Her love for Brian hold her back? "Are Ghosts Real?" Are Ghosts Real? N.p., n.d. Web. 30 Nov. 2015. "Books like Chasing Brooklyn." Books Similar to Chasing Brooklyn. N.p., n.d. Web. 30 Nov. 2015. "CHASING BROOKLYN by Lisa Schroeder | Kirkus Reviews." Kirkus Reviews. N.p., n.d. Web. 30 Nov. 2015. 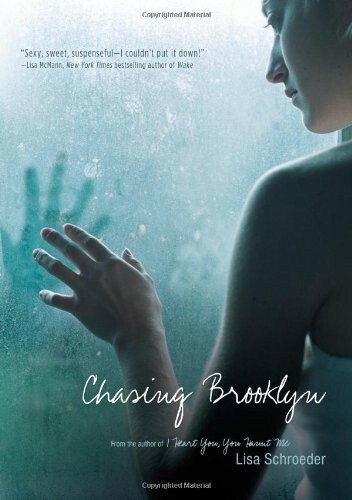 "Exclusive Review: Chasing Brooklyn by Lisa Schroeder." Novel Novice. N.p., 25 Jan. 2010. Web. 30 Nov. 2015. "First Page Panda." First Page Panda. N.p., n.d. Web. 30 Nov. 2015. 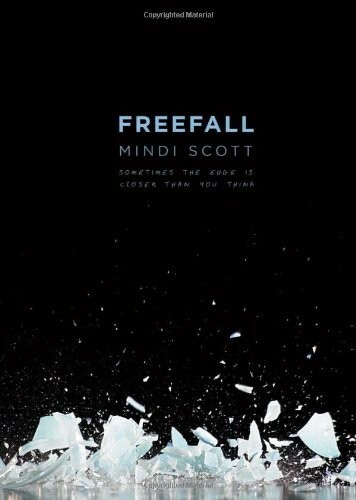 "Freefall Paperback – October 5, 2010." 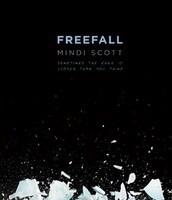 Amazon.com: Freefall (9781442402782): Mindi Scott: Books. N.p., n.d. Web. 30 Nov. 2015. "How to Deal With a Friend's Death." WikiHow. N.p., n.d. Web. 30 Nov. 2015. "Purple Wings." : Chasing Brooklyn Review. N.p., n.d. Web. 30 Nov. 2015. "The Secret Year." Google Books. N.p., n.d. Web. 30 Nov. 2015.